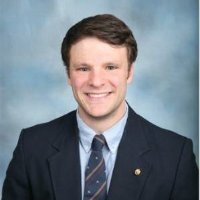 NEW YORK CITY (JTA) — The father of Otto Warmbier, the University of Virginia student imprisoned by North Korea who died after being sent back comatose to the United States, will attend the Winter Olympics opening ceremonies in South Korea as a guest of Vice President Mike Pence. Pence will lead the U.S. delegation at the ceremonies in Pyeongchang following his five-day trip to Japan and South Korea. The Washington Post first reported that Warmbier will accompany the vice president at the Olympics. The vice president’s trip is part of a U.S. pressure campaign on North Korea against its nuclear ambitions, according to the newspaper. Fred and Cindy Warmbier attended President Donald Trump’s State of the Union address as guests of the president and first lady Melania Trump, where they received a standing ovation during the speech.